Before car-shopping customers step foot on the lot or showroom, many have done their homework. Most car buyers know the make and model they want, while a few will be after a type of vehicle, such as a sedan or SUV, and rely on the expertise of the salesperson for recommendations. But either way, most customers will have investigated their local dealerships, and online reviews play a big part in determining who will get their business. Most car shoppers are three times more likely to buy when a dealership has positive online reviews, and one study suggests that 24% consider review sites to be the “most helpful” factor when it comes to making decisions for purchasing a car. If you want to get ahead of the competition, there’s no better way than having your customers do your marketing for you. Word of mouth is still one of the preferred marketing channels, but unlike your typical advertising campaigns, it isn’t something you throw money at and just turn on. The customer experience can be your competitive advantage, and be one of your strongest marketing tactics to build a pipeline for leads. Ensuring that you not only meet, but exceed, expectations is a sure path to amazing your customers, and helps to generate word of mouth referrals and positive online reviews. Although word of mouth taps into a customer’s personal network of friends, family, and colleagues, it’s online reviews that have a much broader reach, and even more influence. Because more than 80% of car buyers will read online reviews prior to selecting a dealership to visit, you can be sure reviews help determine who they will select to buy their next car from. Most consumers tend to do their own due diligence on a company by researching autos online, and for purchases with a higher price point like autos, many not only want to find the right salesperson to deal with, but also the right dealership after purchase, for matters like service, maintenance, and repairs down the road. Lead generation is costly, time-consuming, and essential. If you rely strictly on paid solutions, you’re missing out on the best opportunities. Have your customers do your marketing for you. By ensuring the customer experience was somewhere between excellent and amazing, when you ask for a review, it’s likely that most are more than happy to comply. You want to engage with most, if not all. Many businesses make the mistake of only choosing the positive reviews, and this is a missed opportunity. 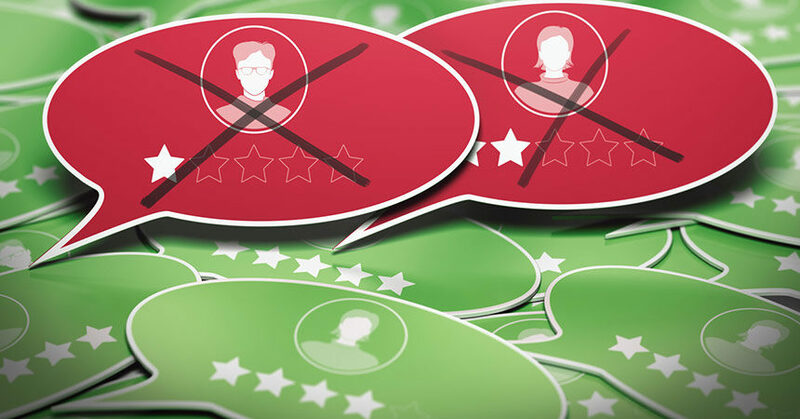 Considering that the reviews are public domain for all to see, how you handle a dissatisfied customer and what lengths you go to resolve any issues is more than just ensuring one customer is happy. It’s an opportunity to demonstrate to all how you look after your customers, and do whatever it takes to make sure they’re completely satisfied. 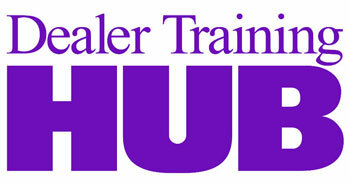 According to a study by Cars.com, less than 33% of dealerships do this. It’s a missed opportunity to demonstrate the passion and commitment of your business, along with managing your reputation and building equity for your brand. Avoid making the mistake of thinking that social media and online review sites are for lead generation. As previously mentioned, customer experience can be your strongest tactic, and focusing on creating value or being helpful will go a lot further than trying to close everyone that you come across. It seems obvious, but there are lots of examples of situations where the salesperson or individual representing the dealership could have used more tact. Never use any sort of tone that might come off as condescending, or belittle someone. This reflects very poorly on your brand, and will likely result in lost business. Building a pipeline of sales-qualified leads (SQLs) is a process that every dealership can do, and isn’t that difficult to implement. While the primary source of traffic is often online these days, it’s all in the details. Some car dealers or salespeople believe their job ends with the sales of a vehicle, when in fact, this is just the beginning. Your customers not only can provide word-of-mouth referrals to friends, family, co-workers, and colleagues, and share on social media or write reviews to help influence other potential customers, but they might just come back themselves. There are a number of review management tools available, but it’s important to understand the difference in capabilities and what’s effective, versus eye candy. Although review monitoring is important for keeping an eye on activity and being able to spot opportunities where you can engage or respond to reviews, it’s only one part of what’s needed. The real challenge to review management lies in keeping reminders going, while requesting new ones all the time. Within just a few days, the number of requests to manage grow exponentially and it quickly becomes impossible to manage. With the right review management software, the automation of review requests and invites makes things easy to manage. Most car buyers don’t show up until the last moment in their path to purchase now. It’s up to dealers and salespeople to “sell” through relationship building and online engagement before a customer even steps on the lot. Mark Nicholson is VP of marketing with NiceJob, the easiest way to get more online reviews. Through automation and custom image-posting options, NiceJob stands out among the competition, and users average an increase of 76% more reviews within just three months. The man hours we were wasting at the dealerships on Reputation management and social media was mind blowing compared to the cost of the company I have partnered with. Reviews have jumped through the roof and we dont really have to do anything. All the work is done through their dashboard and their mobile app.